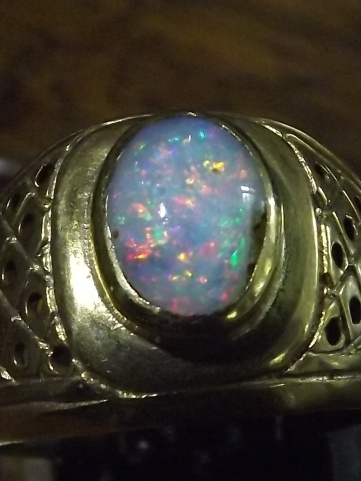 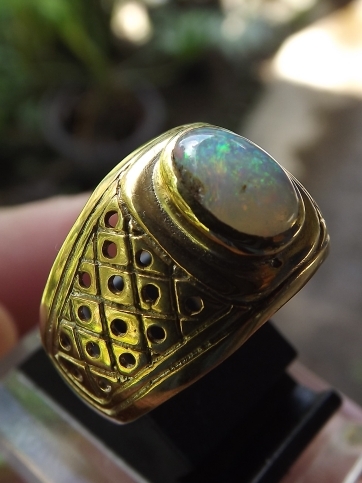 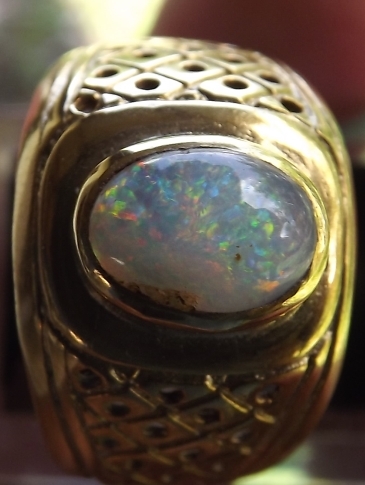 This beautiful gemstone is a Natural Opal from Banten, West Java. The gems is already set on a 18mm golden chromed Alpaka ring. 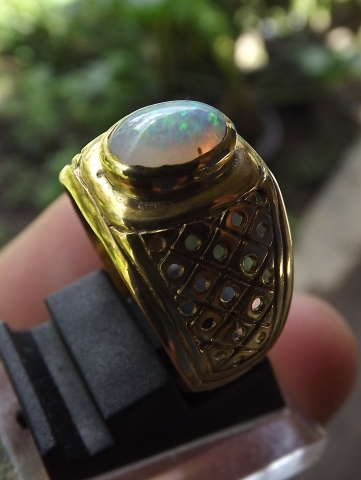 The Dimension of the gems is (est) 8mm x 5,7mm x 2,5mm. A real nice Natural "Kalimaya Banten"! 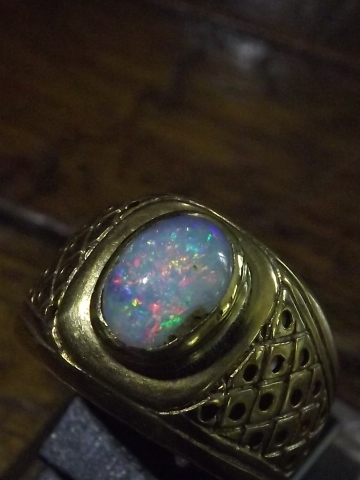 Natural Milky Opal Banten!